Tarot Reading-Futureguide Thane India|Feng Shui,Gem-Stones,Meditation,Numerology,Mobile Numerology|Pendulum Dousing,Pyramids, Astrology,Chakras Healing Mumbai. Tarot is a unique tool for self-understanding and for making choices and decision about present and future and has become one of the major tools for self-discovery and personal growth. 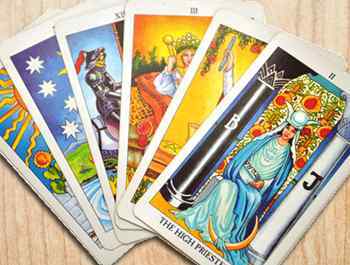 According to the historical evidence origin of Tarot is in Egypt in 15th century, tarot deck contain 78 cards of images and symbol and has deep meaning. Tarot deck answer simple and deeper questions that ultimately guide our life as such develop resilience, perseverance and power to overcome obstacles. There are many ways to spread cards and along with this we use our own technique nine spread cards which covers all aspects of life as such carrier, romance, relationship, creativity, health, wealth, education, success, fame etc.